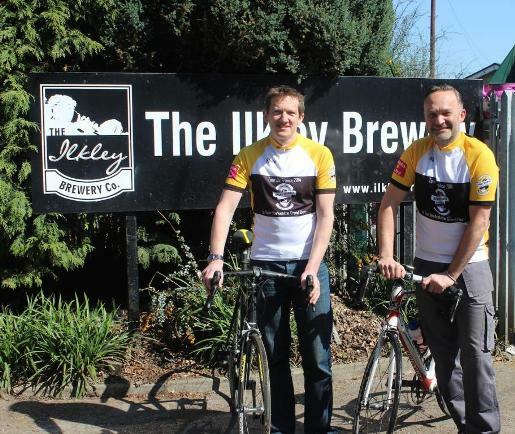 As the Grand Départ draws ever closer, Ilkley Brewery is setting its wheels in motion for the world’s greatest cycle race by commissioning its very own yellow cycling jerseys. The jerseys, made by Ilkley-based cycling jersey manufacturer, Spirit Cycling, display the Ilkley Brewery brand and serve to commemorate the start of the 2014 Tour de France which will fly through Yorkshire this July. “Both Chris and I are lifelong cycling fans, as well as members of Ilkley Cycling Club, so the arrival of the Grand Départ in Yorkshire this summer is something we are looking forward to with great anticipation. “We wanted to kick off the Grand Départ build-up with the release of our very own cycling jerseys to show our support for this global event which will race through Ilkley, and within metres of the brewery, this summer. “The jerseys are the first of many Tour celebrations we have planned. The jerseys, which come in a range of sizes for men and women, are available to buy direct from the Ilkley Brewery website – www.ilkleybrewery.co.uk/shop – and are priced at £49.50.